The following information is provided for clergy who are interested in pursuing admission to membership of the Order of Antioch. 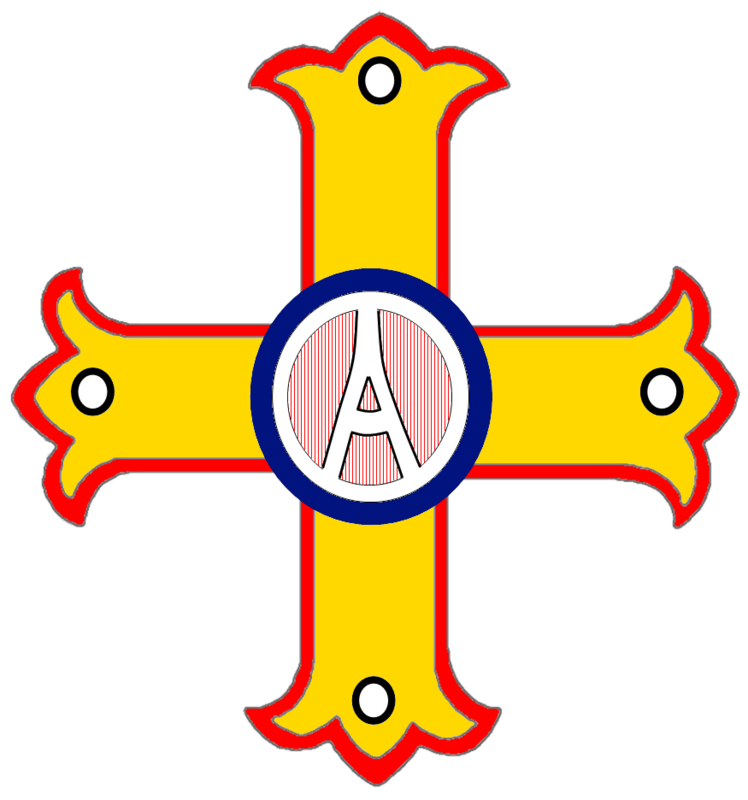 The Order of Antioch is a traditionalist Old Catholic jurisdiction that defines its faith in terms of the Seven Ecumenical Councils and the 1889 Declaration of Utrecht. It is episcopally governed by a Superior-General who is advised by the General Chapter which is drawn from the members in the First Class. Except where otherwise specifically provided for, the system of Canon Law operative in the Order is that which pertained in the Roman Catholic Church prior to 1870. The Statutes of the Order deal with most of the practical provisions that arise on a quotidian basis, and should be read carefully before enquiry is made. The Mass in the Order is celebrated in conformity with the essential form of the Tridentine Rite, either in Latin or in the vernacular. In some cases, permission may be granted for members to use other rites regarded as valid by the Catholic Church, including those of the Eastern Orthodox Churches. The predominant character of the Order is contemplative, and is dedicated to prayer and to the private celebration of the Mass. Notwithstanding this, the Order also admits some clergy who seek to serve an outer parish or mission to the public. Although the Order has the capacity to license such external ministries (which is usually restricted to clergy in its First Class of membership), in practice this work has since 2015 been undertaken through the Apostolic Episcopal Church which is in intercommunion with the Order. Members in the First Class serve under canonical obedience to the Order. They cannot serve bivocationally in another communion without first obtaining the permission of the Superior-General. Generally, that permission will only be granted in respect of an entity that is in a formal relationship of intercommunion with the Order. In order to ensure the stability of our Order, members in the First Class commit themselves to a minimum term of service of five years with the Order before any request for excardination can be entertained. It is not usual for members to move between the Classes of the Order except in exceptional circumstances. Members in the Second Class are not under canonical obedience to the Order and are considered to be associate clergy. They generally serve bivocationally in other communions, and the only restriction that is placed on this service is that membership (or participation in the sacramental life) of such a communion that (a) holds a radically different position on faith from that of the Order, or (b) that ordains women to the priesthood and/or episcopate, or (c) that includes clergy who have previously been dismissed after disciplinary sanction from the Order or its related jurisdictions, is not generally compatible with membership of the Order. Although members in the Second Class are not under canonical obedience, they can be dismissed from the Order if their conduct is found to bring their office into disrepute or to be prejudicial to the best interests of the Order. All members of the order of priest or deacon will be assigned to a bishop as Ordinary. For members in the Second Class, their primary Ordinary may be outside the Order, in which case a Pro-Ordinary within the Order will be appointed to oversee matters concerning their service with the Order. There is an annual Oblation payable by members to remain in good standing with the Order and to cover its costs of administration. This is currently set at UK£50. There is provision for the amelioration of the Oblation in the case of clergy who are retired, on fixed incomes or who undertake administrative duties on behalf of the Order. All Oblations are paid to the San Luigi Orders Charitable Trust, which is recognized as a charity and charitable trust by H.M. Revenue and Customs and administers all matters of finance concerning the Order. Candidates must be male clergy in the major Holy Orders of deacon, priest or bishop. They may be married; they may also marry after admission to the Order. They must have received any one of their Holy Orders in direct and provable Apostolic Succession from the Syrian Orthodox Church (the Antiochean Succession). The majority of members of the Order trace this succession from the 1892 consecration of Prince-Abbot Joseph III (Vilatte), although the 1866 succession from Mar Julius of Iona (Ferrette) is also fully accepted. Applicants will need to produce documentary evidence that any one of their major orders was received in the Antiochean succession, by producing their letters of ordination and the letters of consecration from those bishops from whom they assert descent, tracing back to Archbishop Vilatte or Archbishop Ferrette. Where a bishop is listed in a standard reference work such as Ward, Bain & Persson: Independent Bishops: An International Directory, Detroit, Apogee Press, 1990, there is not normally a need to produce historical documentation. In certain cases, it may be possible for clergy wishing to become First Class members of the Order to receive subconditional ordination as additional commissioning in order to bring them into the Antiochean Succession. This will depend on their ability to travel, at their own expense, to the customary location of a bishop of the Order. All candidates for admission are subject to additional scrutiny regarding their theological and ministerial knowledge and understanding, their record in ministry, the support for their ministries from other clergy and laity, and such other matters (including criminal record clearance and psychological assessment) as are appropriate for a body of clergy serving the public. It is not usual to admit candidates who do not already hold a degree or equivalent seminarian’s credential in theology, and any offer of admission may be made conditional upon the candidate gaining such a credential by a given time. An application packet is generally sent to candidates after preliminary discussions have taken place to establish eligibility. This is then considered by the Superior-General with the advice of the General Chapter. While there is provision for the admission of ordinands who are aspirant to the First Class of the Order, this provision is not actively exercised at the present time. Instead, vocations are primarily directed towards the Apostolic Episcopal Church, with which the Order is in intercommunion, with the intention that clergy admitted to the ordained ministry in that church will be able subsequently to apply to undertake bivocational service in the Order. In the event that they are involved in, aware of, or subject to any matter, whether criminal or otherwise, that has any potentially negative consequence for the Order they must seek as an urgent priority to make this known to their Ordinary on the understanding that the matter will then receive consideration by the Superior-General and General Chapter. In the event that they are diagnosed with any mental illness or impairment they must notify their Ordinary on the understanding that the matter will then receive consideration by the the Superior-General and General Chapter. Clergy in the First Class are further required to execute an Oath of Canonical Obedience that includes a commitment to a minimum period of five years service within the Order before a request for excardination to another communion can be entertained. This means that clergy who for some reason cease to be able or prepared to undertake Christian service in ordained ministry during this period (and who are otherwise in good standing) will be placed on the Inactive List of the Order and will not be able to move to another communion until the minimum period within the Order has expired. Clergy or ordinands who are in breach of any of the above requirements, or who have submitted any information in their application that is subsequently found to be false or misleading are liable to summary dismissal from the Order or such other disciplinary measures as shall be decided by the General Chapter in consultation with their Ordinary. A right of appeal to the Superior-General against any decision of the General Chapter exists. It is a condition of acceptance as a member of clergy or ordinand that the applicant accepts that the decision of the Superior-General on all matters concerning the governance of the Order is final and binding. At times, a person will come to the conclusion that the spiritual path offered by the Order is not the right one for him and will seek to leave in order either to exercise ministry in a communion that is better suited to his aspirations, or to revert to the lay state. The Order of Antioch is a canonical jurisdiction and can only act in accordance with its Statutes and understanding of ecclesial governance as a properly constituted communion of the One, Holy, Apostolic and Catholic Church. Although those who are still in the lay state can be discharged from candidacy for ordination without canonical consequences (provided they are in good standing), it is not possible for those who have received any of the minor or major orders to simply “resign” from the Order, nor to abandon this communion without canonical resolution of their status. A person who is not in good standing, who refuses attempts at mediation to resolve the issues concerned, or who abandons their ministry and is indifferent to attempts to contact them, will generally be administratively laicized after a disciplinary hearing by the General Chapter. This step, which is not reversible, removes the exercise of the orders that have been bestowed and returns the candidate to the lay state. It is usual that such actions are made public by the Order in order to warn others who may be approached by the person concerned. Candidates who leave this communion are reminded that they must not at any point represent themselves as being associated with us (including using the designations and insignia of the Order) or being authorized to act on our behalf. For a person who has received the minor orders and wishes to leave in order to exercise ministry in another communion, Letters of Excardination will normally be issued providing the candidate is in good standing and is intending to minister in another properly constituted communion. First Class members of the Order in the major orders cannot submit requests for excardination until five years have passed from the date of their reception into the Order. They may not undergo any form of reordination in another communion to an Order which they have already received, except specifically sub conditione as additional commissioning for ecumenical purposes, without incurring the penalties consequent upon blasphemy. Members in the Second Class are not under canonical obedience to the Order and will normally have received their Holy Orders in another communion. They can be discharged from membership of the Order upon receipt of a written request for discharge.